Canterbury Graphics provides offset and digital printing services, design, direct mail and non-profit services to the greater Washington, DC, metropolitan, and the surrounding areas. Order online and have your printing delivered directly to your home or office. 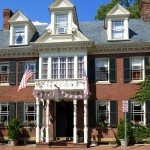 Located in Northern Virginia’s Leesburg, in Loudoun County. Call us at 1-866-716-0501. Or, locally at 703-777-5421. Email us directly at Print@CanterburyGraphics.com. Send us a message on our convenient Contact Form. Canterbury Graphics is a traditional printer that has grown to encompass every aspect of the visual communication media. 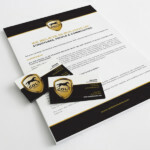 We are a print shop, graphic design house and direct mail specialist. We pride ourselves on being one of the most diverse printing companies serving Leesburg, VA, all of Loudoun County, VA, and surrounding DC, Maryland and West Virginia. We offer a wide range of products and no job is too big or too small, whether you need business cards, direct mail postcards, brochures, flyers, letterhead, envelopes, newsletters, reports, business forms, direct mail projects, or anything in between. 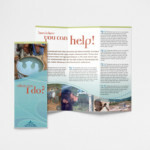 Maybe your non-profit organization needs to launch a multi-million piece direct mail campaign starting from the initial idea. Or, maybe you are just starting a business and you need us to help you create your business identity and print your stationary, business forms and marketing material. We can also help you optimize your website in order for your business to get all the visibility possible. Whatever the need, you will get the product you’re looking for, the service you deserve, in the time frame you need, at a price that fits your budget. Canterbury Graphics is The Leesburg, Va area printer, and your printer. Contact us today by calling toll free 1-866-716-0501 or e-mail us at Print@CanterburyGraphics.com, for a free estimate or consultation.